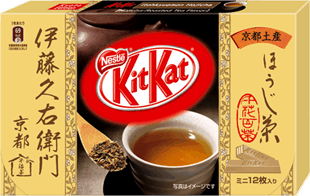 Delicious houjicha Kit Kat (Roasted green tea). Content: 1 box with 12 individual bags (11.6r x 12). Availability: Normally ships in 2 to 4 days.